With provincial funding for Ontario hospital services falling for years, understaffing is getting worse in hospital environmental services, with reports of layoffs and cuts occurring regularly, a survey of front line cleaning staff has found. Concerns are growing among environmental service workers that Ontario hospitals do not have the capacity and enough cleaning staff to keep bedrails, mattresses, taps, door handles and chairs sterilized and bacteria free. In the fall of 2016, the CUPE completed a survey of 421 hospital housekeeping staff from over 60 hospitals right across Ontario. Hospital-Acquired Infections: Stop Preventable Deaths, that melds the survey findings with recent public health agency and other research reports, was released in Cornwall today. The survey revealed a disturbing pattern of speed up, working short, high levels of stress and injury at work. A large majority (78 per cent) report that more duties have been added to their work. Accordingly, a large majority (76 per cent) report working at a faster rate. Over half believe the situation is unsafe. As well, 40 per cent of hospital locals report that hospital environmental service hours have been cut, in the last year alone. Seventy per cent of housekeeping staff also report working short. This occurs when staff who are off of work for vacation, sick leave, training, or other reasons are not replaced. Infection can easily spread from patient to patient through personal touch or by touching contaminated shared surfaces. “There just aren’t enough cleaning staff to properly clean patient rooms, bathrooms and common areas to prevent infection. Because we are often working short, we are given additional duties and workloads for cleaning staff are enormous. Increasing staffing levels would go a long way to ensuring a safer environment for patients/clients, families, staff, physicians and volunteers,” says Nicholas Black a hospital cleaner. The Public Health Agency of Canada reports that more than 200,000 patients get infections every year while receiving healthcare in Canada and that more than 8,000 of these patients, more than 3,000 of them Ontario patients, die as a result. “These are preventable deaths. But government and hospital policies are making this growing threat even worse. 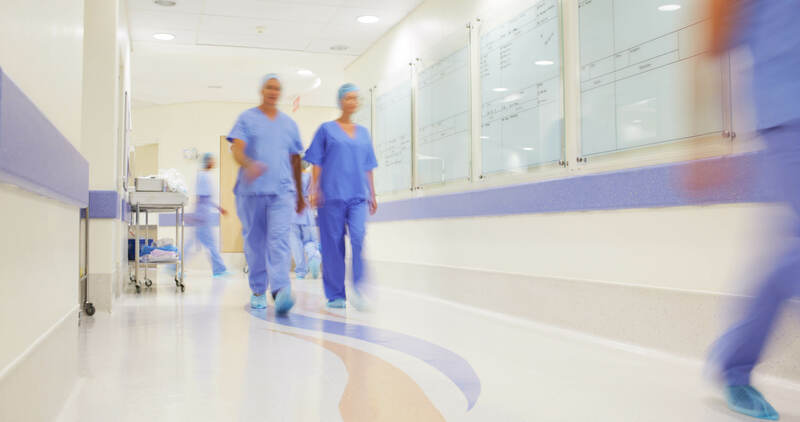 Patient safety, and reducing the risk of acquiring and transmitting infection should be the priority, not cutting costs on environmental cleaning,” says Ontario Council of Hospital Unions (OCHU) president Michael Hurley. Scientists and doctors have raised concerns about the growing resistance to antibiotic treatment of hospital acquired infections. Several recent academic studies corroborate what hospital cleaners are experiencing on the ground. One 2014 study noted that cleanliness in hospitals can be characterized as less than optimal. Nearly 40 per cent of respondents did not judge their hospital to be sufficiently clean for infection prevention and control purposes. Another 2014 study revealed nearly half of Canadian hospital environmental service managers reported that they had enough personnel to satisfactorily clean their hospital. Only 5.2 per cent strongly agreed there were sufficient housekeeping personnel. The study concluded environmental services “staffing deficits mean that the cleaning necessary to prevent and control nosocomial infections will not be accomplished with the requisite frequency and thoroughness.” CUPE surveys of housekeepers and locals indicate the situation has gotten worse, not better, since the 2014 academic studies through cuts and creeping privatization. “There is common understanding between the researchers and the environmental cleaning staff in our hospitals that cleanliness must be improved to keep patients safer. The evidence indicates that if this was accomplished, then infection rates would decline and fewer people would die,” says Hurley.